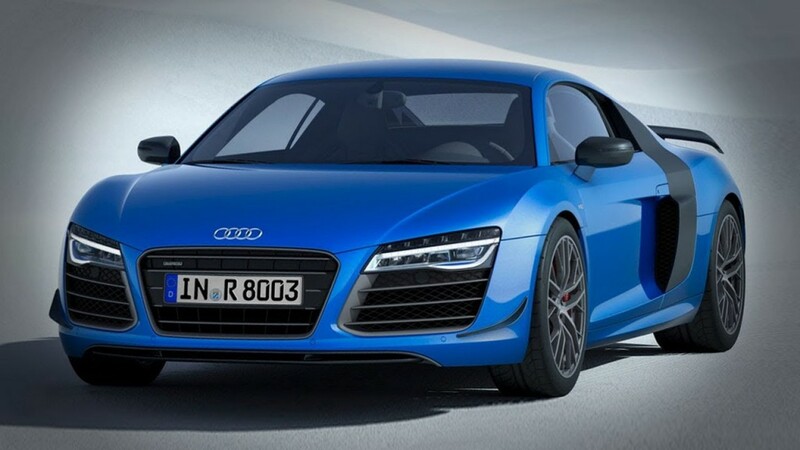 Audi R8 LMX is the most fastest and powerful supercar in India. A very limited number of cars, that is only 99 Audi R8 LMXs would be available globally. 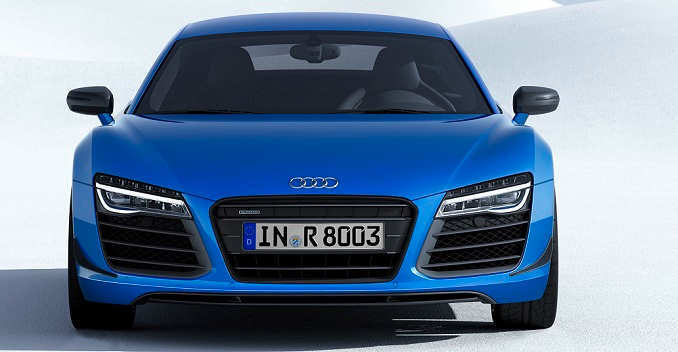 Audi R8 LMX is priced at 2.97 crores INR (ex-showroom Delhi) that is around 482000 USD. Ultra new technology, new vibrant color, superior interiors . Cutting edge lighting technology, the laser high beam technology uses LED which illuminates range of 500 meters and gets automatically activated when the car reaches a speed of 60 km/hr. Similar lighting technology was used with the Audi R18 e-tron Quattro. Audi has set a trend in India with its Daytime LEDs opening up a whole new market. 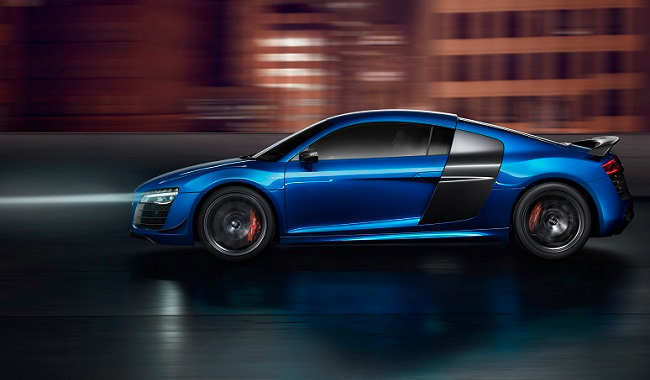 Audi R8 LMX is powered by 5.2 litre V10 engine mated to a Seven-speed S-tronic transmission. This has a capability to reach a whooping maximum power of 570 BHP with a torque of 540 Newton meters. This Limited edition Audi R8 LMX gets an exclusive Ara Blue crystal effect paint job in combination with the black gloss, matt carbon & titanium grey finishing on exterior elements of the car. 19-inch wheels , ceramic discs and red brake callipers elevates the car’s beauty. The super car gets dark interiors with Alcantara and Nappa leather trims with blue diamond stitching. A rear fixed spoiler in Audi R8 LMX creates a better down force boosting the overall appeal.